"In the beginner's mind there are many possibilities, but in the expert's there are few. "I spent my career swinging a weight at the end of a string." and if you can swing a hammer you can swing a golf club. 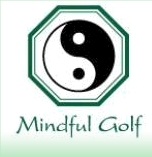 Mindful Golf offers a simple method for learning and playing golf that has been around for thousands of years: learning from your own experience, using the feeling of swinging the clubhead and the feel of your body as the teachers. Michael guides you to pay attention to these teachers. In Mindful Golf we focus on feeling the swinging of the clubhead, a method popularized by Ernest Jones and perfected by Bobby Jones. Mindful Golfers no longer need to try so hard to hit the ball; they trust that if they can feel the swinging of the clubhead, they will easily find the ball. Being Mindful simply means being awake, paying attention moment-by-moment through non-judgmental awareness...not taking things for granted. Mindful Golfers trust that the clearer they can see and feel current reality, without all the self doubt, over-trying and incessant chattering going on in their heads, the faster they can learn what feels good and what works best. 1. Don't Try to Hit the Ball - This is why people contact me...they try so hard to hit the ball, that doesn't work, so they try even harder, that really doesn't work, then they call me. Play that game somewhere else, it's no fun. When you can focus on feeling the swinging of the club head (which takes all of 5 minutes) you'll have no problem finding the ball. 2. Don't Be Careful - Make all the mistakes you want but pay full attention. 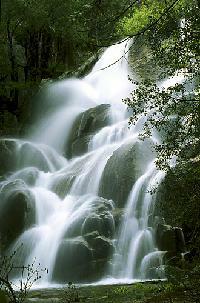 Being careful comes from doubt, which creates tension, the bete noire of naturalness and efficiency. Being careful means you're trying to do something "right." Don't try to do it right, just feel the swinging of the clubhead. 3. No Talking to Body Parts - Again, this comes from doubt which creates tension. For example, your legs and feet already know what to do, they're experts in moving your body efficiently. Trust them to do their job in a relaxed, confident manner. Maybe, just maybe, if you weren't trying so hard to hit the ball your feet and legs wouldn't stiffen up, destroying your rhythm and balance. Mindful Golfers focus on what is happening instead of what should be or could be happening, or what just happened. Their minds are calmer, reflecting a clear perception of the task ahead of them and a commitment to paying attention to whatever feedback they may receive. They play golf in the present, knowing that this moment, right now, is the only one available. "Quit looking up...keep your head down!" You've probably said it to yourself and heard it from others after a topped shot. Mindful Golfers don't accept tips until they've had a chance to check them out on their own, to experience them and increase their own direct feedback about their head position. Until you can feel when your head moves, how much it moves, and where it moves to, you really don't have any idea about correcting it. Feeling is knowing and if you can't feel the distinct differences of your head postion in each swing, it's just intellectual speculation--correction without knowing. Can you keep your head down too much? Sure, golfers do it all the time. They try really hard, they strain and their neck muscles tighten, their weight shift stops, and they usually keep topping the ball or begin to hit the turf behind the ball. The Mindful Golfer realizes that a golf swing--and human expression in general--is much more than the sum of its parts; it includes coordination, balance, rhythm and grace. Playing golf-by-the-numbers usually results in robotic swings. Add trying too hard to swing "right" or not to swing "wrong" and you've got a recipe for frustration. Sound familiar? Above all, Mindful Golfers swing in a way that feels natural, with creativity and sponteneity, trusting in their innate capabilities to learn and perform. Isn’t it time that golf felt natural?